Case study challenge je týdenní challenge. Tak jsem to tento týden poprvé zkusila, až do úterý lze posílat svá přání, respektive umísťovat na blog. This is my the very first time in case study challenge. I was inspired with colours. 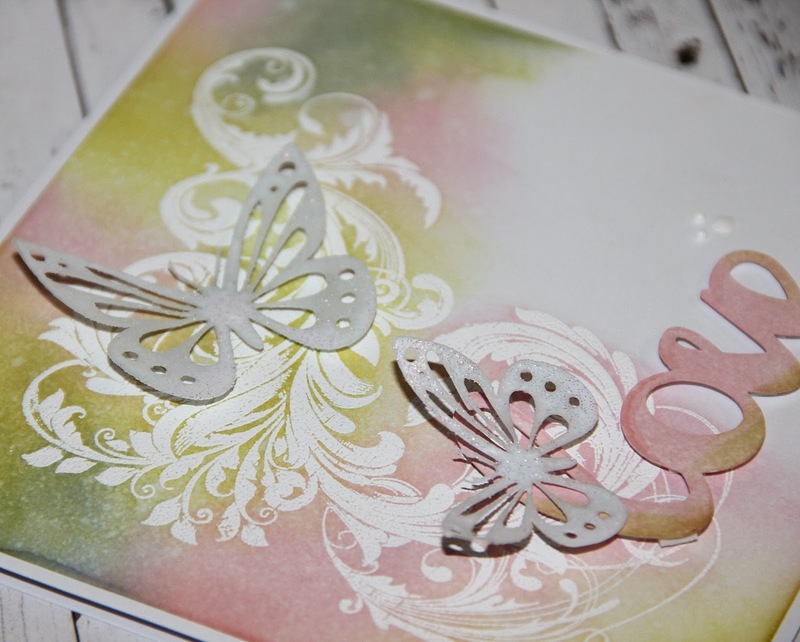 Basic is ImdigoBlu stamp - vintage flourish - embossed with white embossing powder. 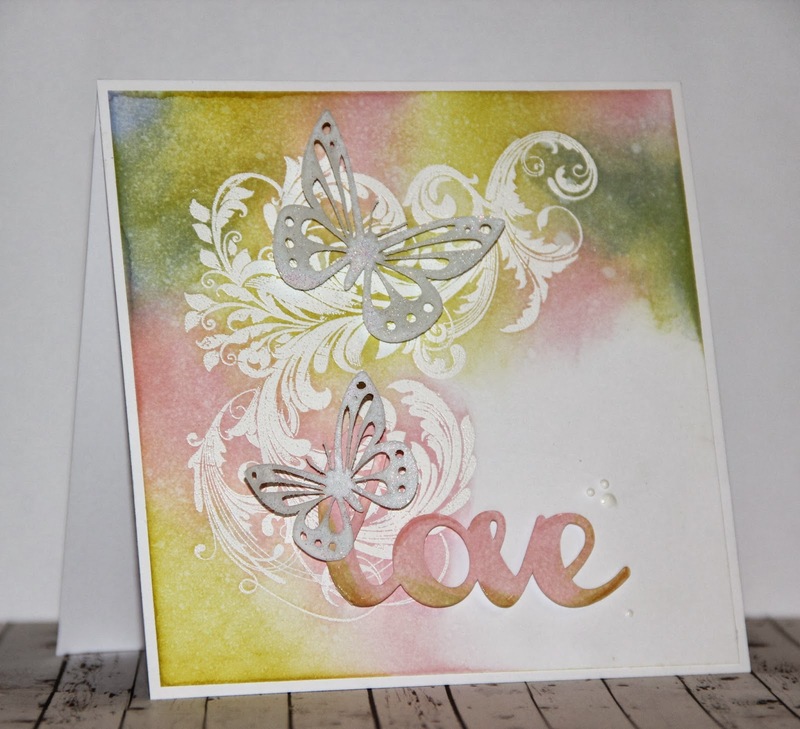 Than I used distress ink for creating background. 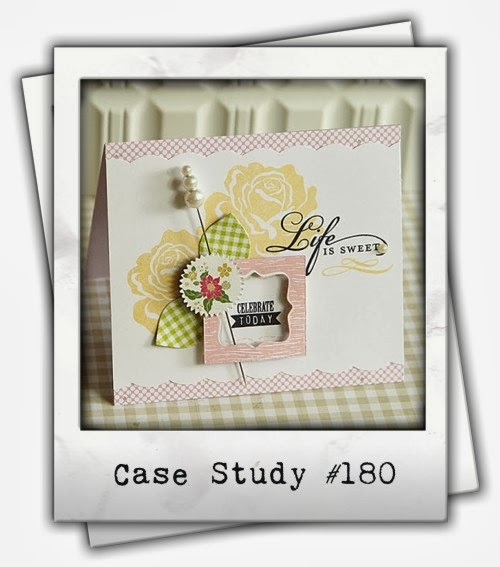 On my Cameo Silhouette I cut sign love and decorated it also with distress ink and add little bit shine with glossy accent. 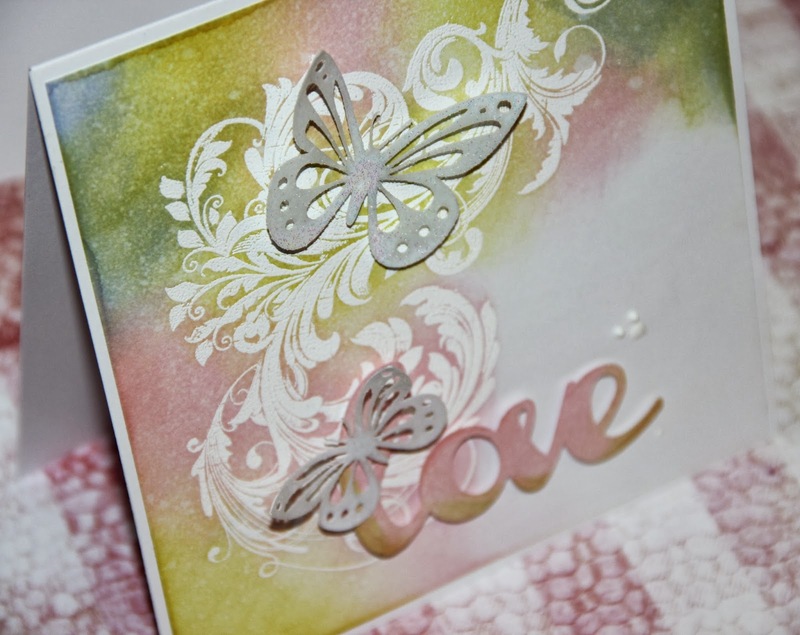 Then I cut two butterflies embossed it in shiny-clear embossing powder and with 3D glue dots I glued them onto card. Finally I added few drops with enamel accents white.